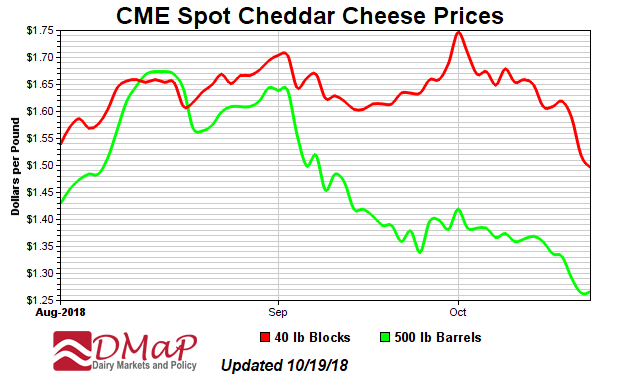 Let's focus on cheese. 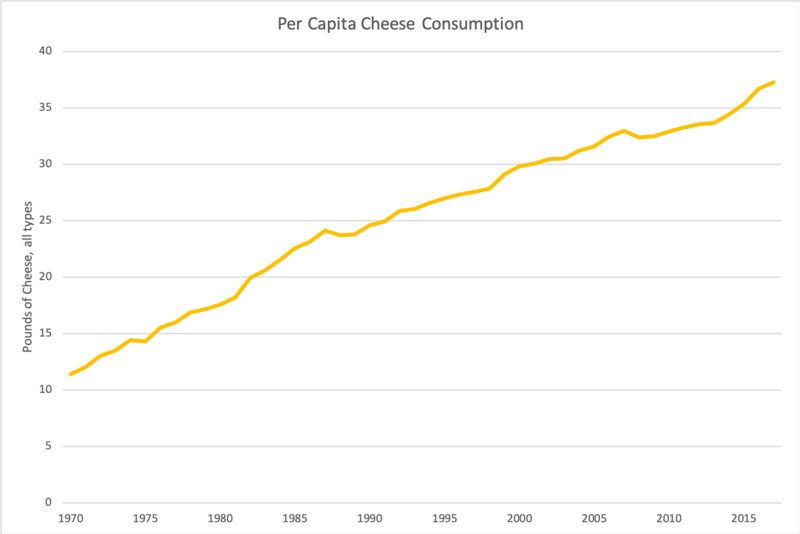 Big block/barrel spread and Millennials are pushing back on processed cheese, but total cheese consumption is actually up... significantly. 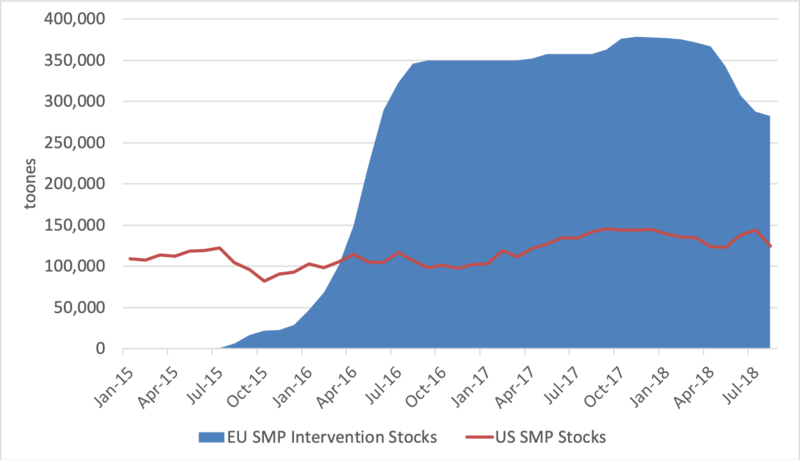 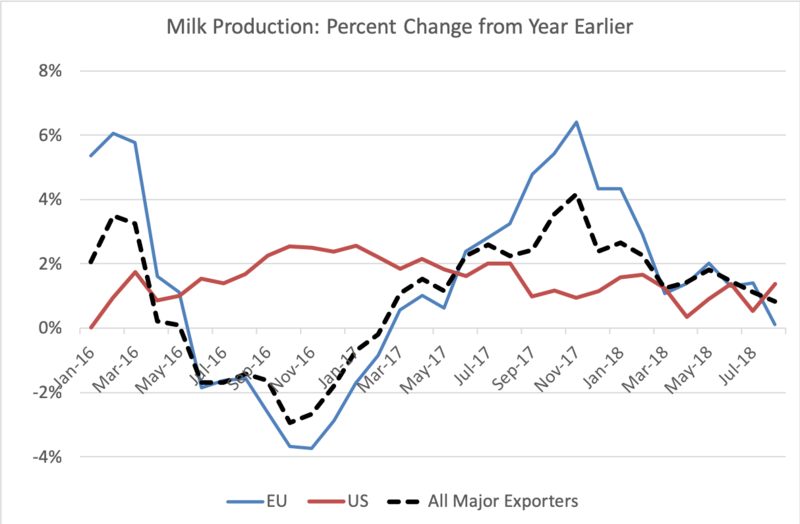 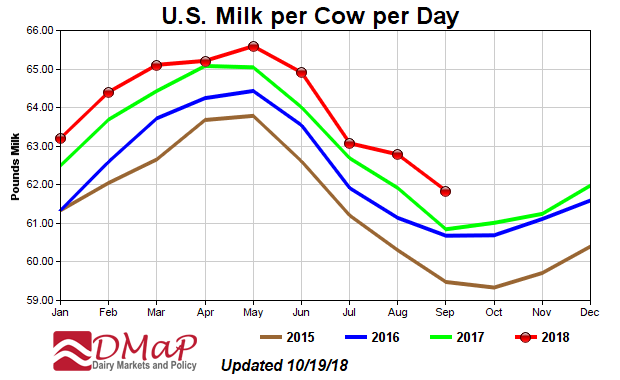 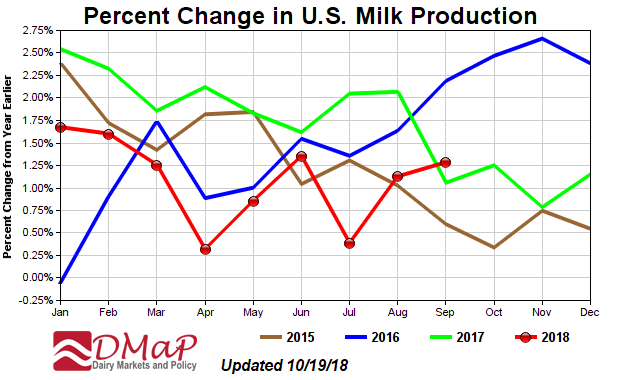 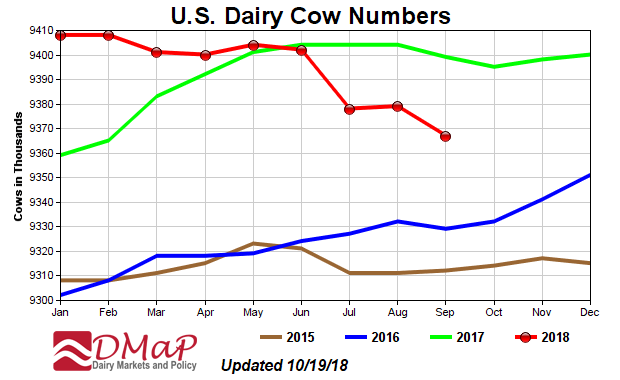 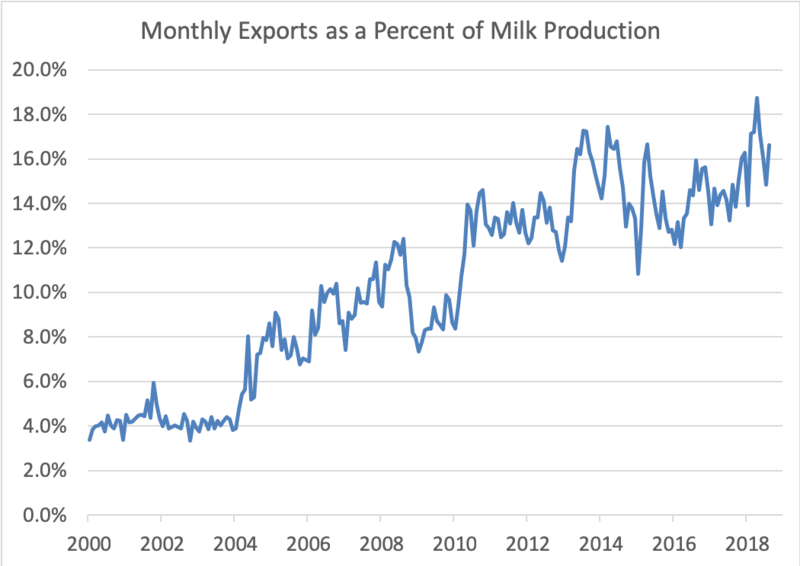 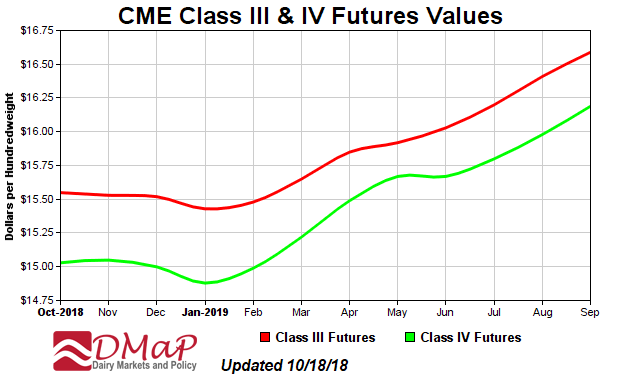 With milk production growth slowing in EU and cow numbers down in the US, maybe prices have a chance to rebound in 2019. 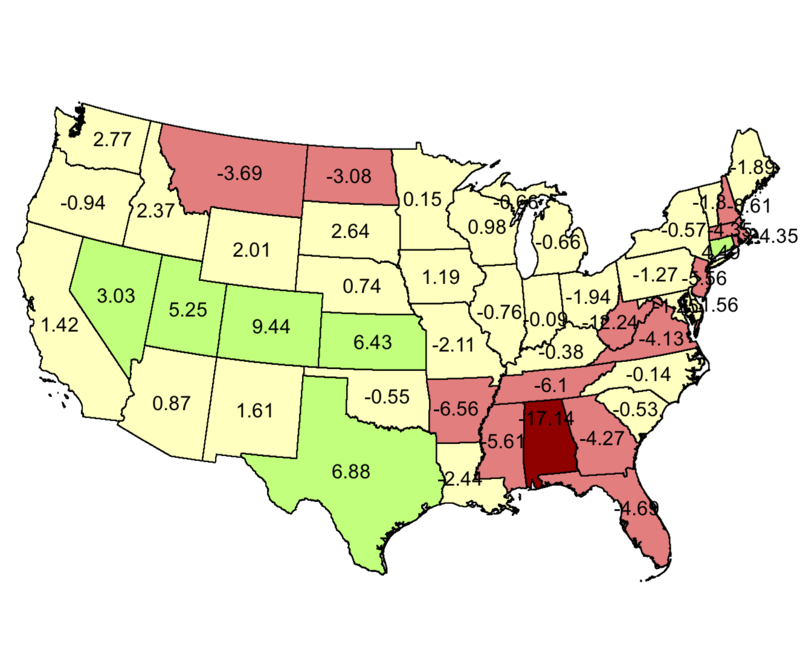 The video is about 13 minutes long.